ENGLAND . . Bath . . In Bath, I hop to the baggage car for the bike and ride down the platform into this elegant, pleasant town. After lunch, a museum impresses me with watercolors by the famed JMW Turner, who painted smoke and light. 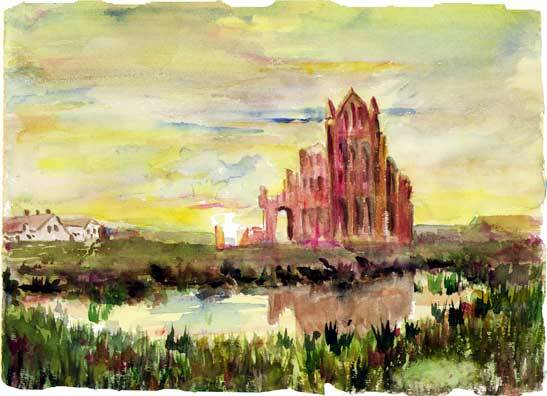 I copy an old watercolor, of sixth century Whitby Abbey, then start pedaling in the rain, heading west.